Home > Uncategorized > HOT PRICE – Razor A2 Kick Scooter with Helmet Only $22.88 From Amazon (dropped from $61.19)!! HOT PRICE – Razor A2 Kick Scooter with Helmet Only $22.88 From Amazon (dropped from $61.19)!! April 17, 2019 Comments Off on HOT PRICE – Razor A2 Kick Scooter with Helmet Only $22.88 From Amazon (dropped from $61.19)!! 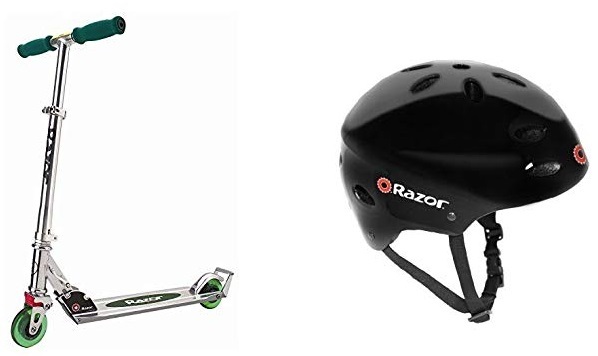 Amazon has the Razor A2 Kick Scooter with Helmet marked down to only $22.88 (dropped from $61.19)!! Nanette by Nanette Lepore Faith Pointed-Toe Flats Only $34.50 From Macy’s!